Livecom talked to Midden Drenthe municipality about the ways in which they are in contact with their citizens. 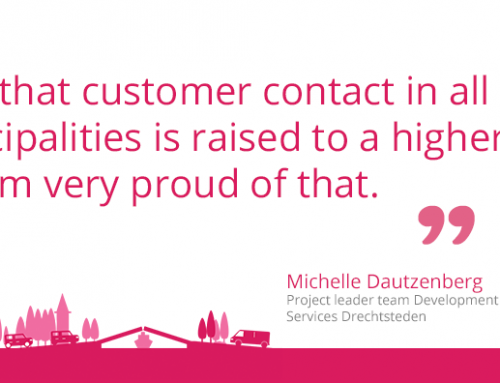 What they feel is important in customer contact and we asked about their experiences. They’re happy to share their view so that other municipalities can also benefit from it. They regularly receive calls from other municipalities asking them how they have structured the ‘modern’ channels. Municipalities are in the midst of innovation of their service provision. We spoke to Gerard Epping, senior officer of the municipality shop and chairman of the customer panel. We also talked to Vincent Nevels, digital media communication officer. They have service provision running through their veins. Gerard gets up in the morning to help people and to answer all their questions as personally and good as possible. Vincent asks himself every day how customer contact could be done even more efficient but with a high customer experience to boot. 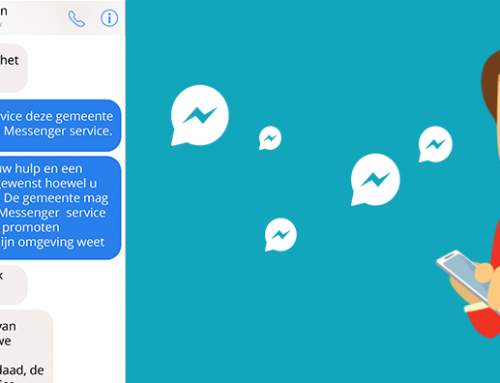 Midden Drenthe municipality strives to offer the service provision via all channels. With the same customer experience. Personal contact and listening to the customer is paramount. Gerard would like it very much if people could notice from the tone-of-voice of an app or chat session who they were communicating with. “We (hardly) work with standard lines – that’s not us. People in the team keep each other focussed on this”, says Gerard. Right now, Midden-Drenthe municipality has over 33,000 residents and it services a great number of cities, localities and villages. The municipality is in contact with its residents via the desk, phone, mail, Facebook, WhatsApp and chat. Gerard tells us: “We have been offering chat ever since 2008. Livecom was one of the first providers in the market and they have helped us to organize this. Chat was and still is seen as a positive experience by citizens. After each chat session we ask for an evaluation which evidences this. “What is striking is that channels such as chat and WhatsApp are seen as very ‘safe’. For some people the barrier to come to the municipality shop or to call is too high. They’re just not very articulate or have trouble expressing themselves orally. They prefer these channels” Vincent adds: “It’s good to see that we can also help these customers and that they like to get into contact with us that way”. “Looking at the future, we want nothing more than keeping our current channels open. Of course we critically examine the channels and costs. But so long as the citizens’ need exists to opt for these channels, we will keep them open. Should any channels be added which a lot of people use than we’ll look if we as a municipality can fit it in as well”, says Vincent. Vincent does have a preference for digital channels because this is more efficient for the municipality itself. “But efficient for the municipality doesn’t always mean sufficient for the citizens. There are still people, for example, who don’t have a computer and we want nothing more than to offer them the same customer-oriented service”, says Gerard.